This was my first time making a teapot set. 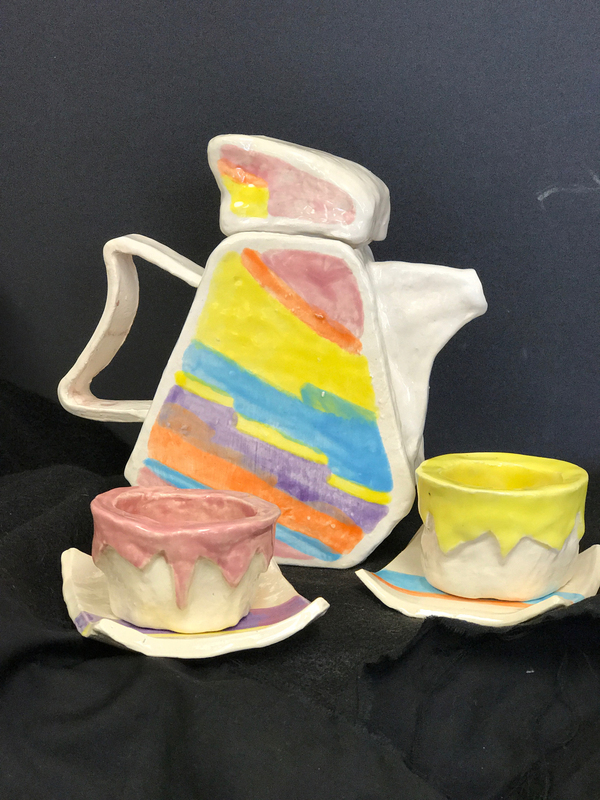 I wanted to contrast the angles of the teapot with the smooth curves of the cups. The angles and clean lines of the saucers echo the design of the teapot. Artwork Dimensions: 10" x 6"